Replanting of native plants, 1901! HAWAIIAN PLANTS WILL BE GROWN AGAIN. Under the direction of Mr. Haughs, the nurseryman of the government, the planting of Hawaiian plants in the valley of Nuuanu will be attempted, to make that valley verdant once again with native plants, so that it will be just as beautiful as it was fifty or more years ago. 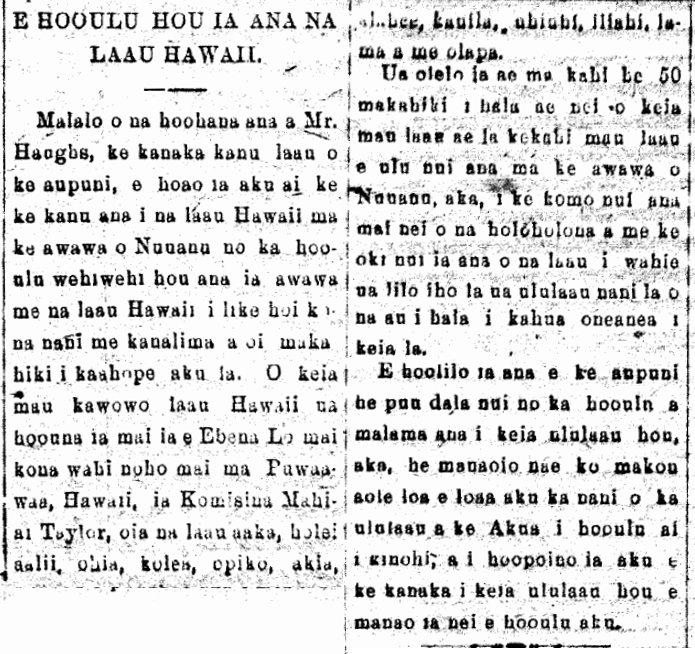 These seedlings were sent by Ebena Lo [Eben Low] from his residence at Puuwaawaa, Hawaii, to Commissioner Taylor, those being aaka, holei, aalii, ohia, kolea, opiko, akia, alahee, kauila, uhiuhi, iliahi, lama, and olapa. It is said that it has been about 50 years that these plants were growing in abundance in Nuuanu Valley, for with the influx of animals and the mass cutting of trees for firewood, the beautiful forest of times gone by became a barren field. The government will spend a sum of money to grow and foster this new forest, however, we believe that there is no way that the beauty of the forest which God grew originally and which was damaged by man will be attained by this new forest which is intended to be grown. 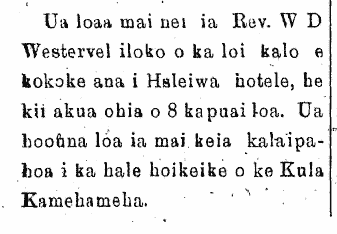 Ke Aloha Aina, Buke VII, Helu 49, Aoao 4. 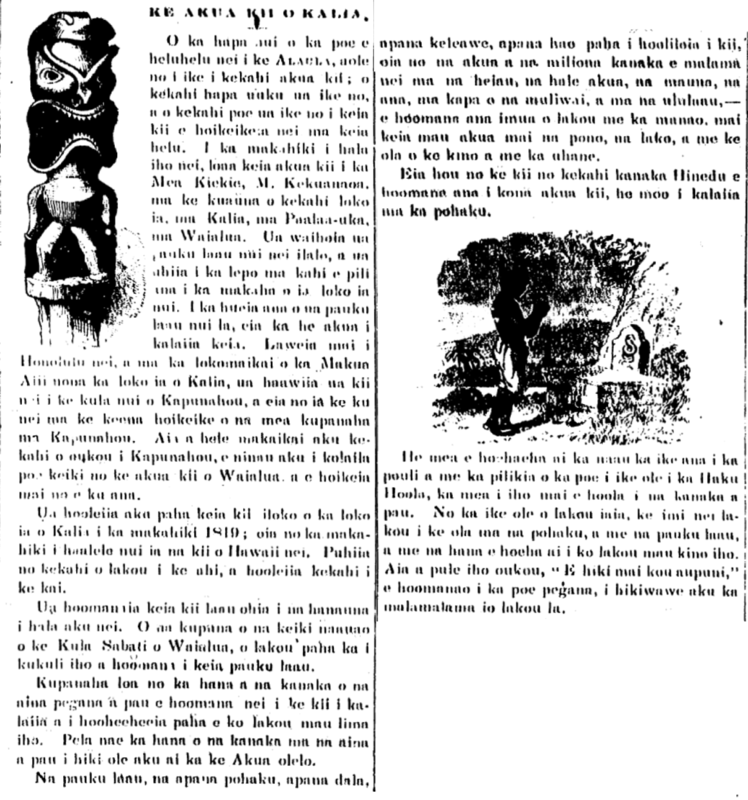 Dekemaba 7, 1901.